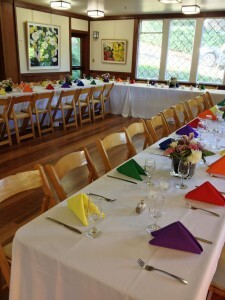 Whether you are planning a small church wedding, destination wedding, commitment blessing, a vow renewal, an interfaith wedding, wedding reception, or even a memorial service, Sausalito Presbyterian Church is the premiere location for your San Francisco Bay Area celebration event. Set in the oak-clad hills of Sausalito, just across the Golden Gate Bridge in gorgeous Marin County, this Craftsman Style historic site has been hosting weddings and wedding stories for more than 100 years. Wedding Director, Shirley Latta has helped create both lavish and intimate weddings for 15 years. Enjoy her lively blog – Down the Aisle (updated through 2013) full of personal wedding stories. You’ll discover stories of couples from Asia, Europe, Russia, South and Central America, and South Africa – all reflecting diverse wedding traditions and cultures. A wedding is an exciting, multi-layered event! 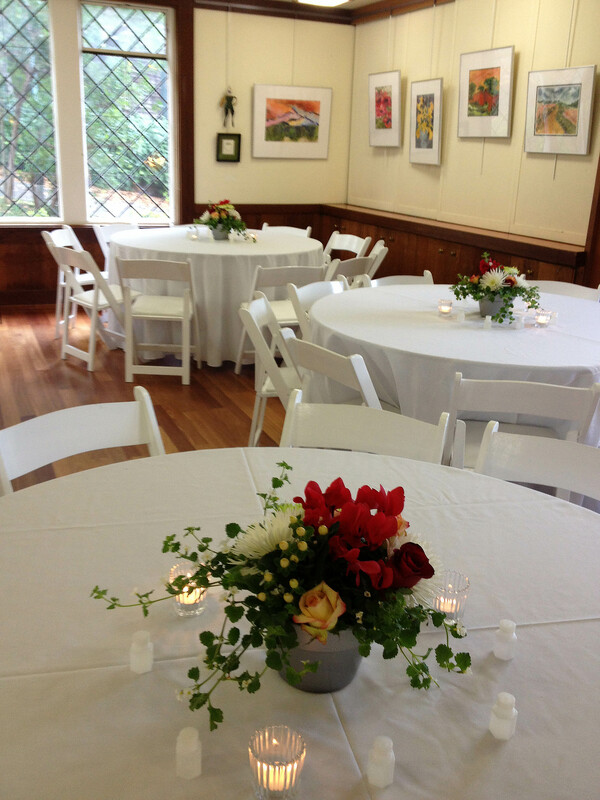 To begin your wedding journey at Sausalito Presbyterian Church contact our Wedding Director, Shirley Latta. Shirley has a background in theatre, music and fashion show production, and is also a floral artist with fifteen years of wedding experience. 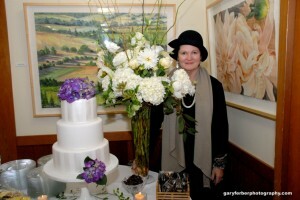 She has directed hundreds of weddings in the Bay Area with grace and style. Shirley will be with you and the bridal party every step of the way. Once your wedding is booked, she will help you customize your wedding day and fulfill any unique needs from flowers to photographers and reception sites in Marin County. Visit her blog – Down the Aisle – for an intimate look at many of her recent weddings. 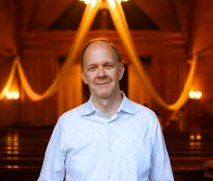 A composer as well as our worship and choir director, Ralph Hooper has worked with some of the leading musicians of our time, including many years with Robert Shaw. Ralph has provided music for over 1,000 weddings in the Bay Area. 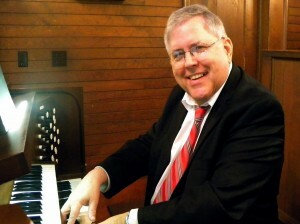 He works with couples to select perfect music for this special day – traditional, classical, or music from theater and film. 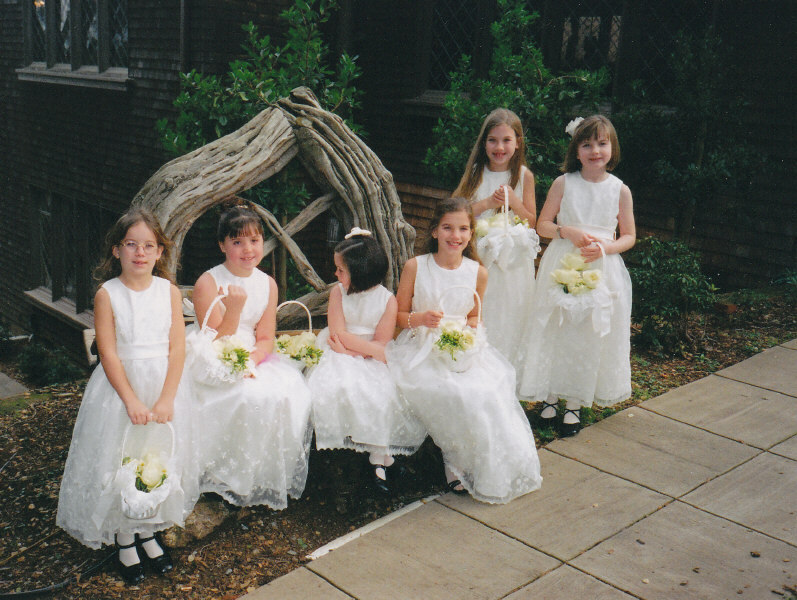 Weddings at Sausalito Presbyterian Church are usually performed by our pastor. However other ministers and officiants are also welcome. We will be able to suggest many examples of poetry, scripture, vows and other elements of weddings to assist you in creating a ceremony that best expresses your love and commitment. There is a great deal of room for creativity. The wedding fee is $1575.00. A non-refundable deposit of $675.00 secures the date and time. Included are a donation to the church, an honorarium for the pastor, the wedding director’s and music director’s fees. We believe your wedding should reflect the special story that brings you to our beautiful church. While nourished in a rich heritage of Christianity, we are open to the many ways in which spirituality reveals itself. We are inclusive and respectful of all faiths, cultures and sexual orientations. Click here to see photos of a variety of celebrations. If you are looking for an on-site reception, Thomson Hall just down the garden stairs, is available for 90 seated guests or 125 standing. It features hardwood floors and leaded glass windows as well as a baby grand piano and sound system. A deck/courtyard just off the hall allows your guests to enjoy an outdoors/indoors experience. A fully equipped kitchen is available for catering. 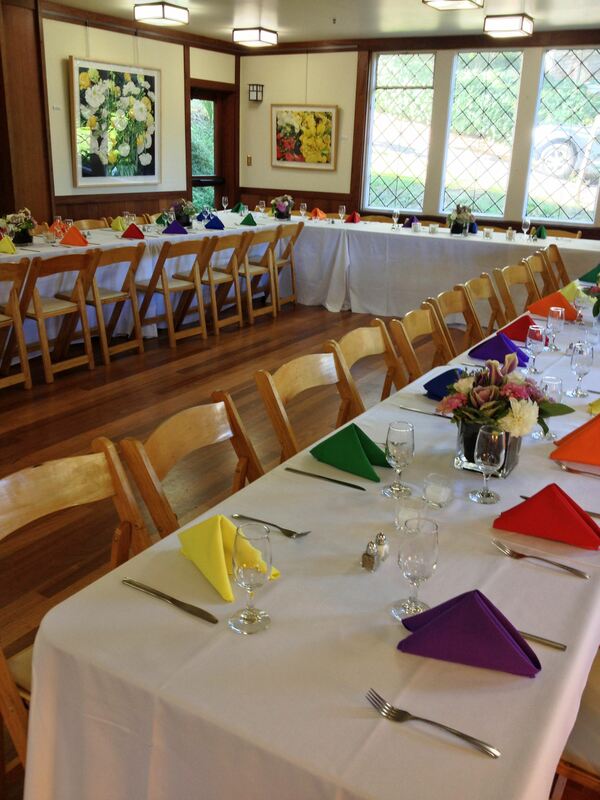 If you prefer a larger venue, our wedding director can refer you to fine hotels and restaurants in Marin County. Cost for 3-1/2 hour minimum is $950.00. A non-refundable deposit of $300.00 secures the date and time. Some comments from couples wed at Sausalito Presbyterian Church. Let their experiences assure yours. Our wedding staff, including the director/floral artist, minister, and music director, look forward to helping you plan the wedding day of your dreams and create your special Wedding Story. 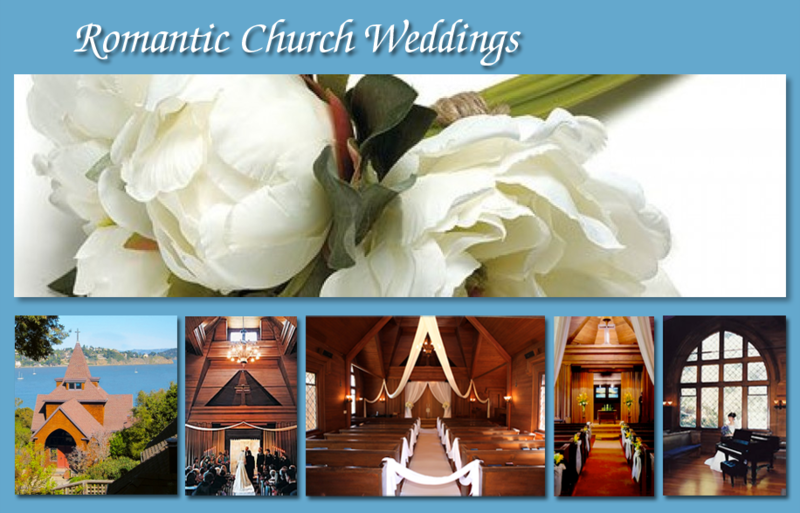 For more information or to book your church wedding or reception at this stunning historic site in Marin County in the San Francisco Bay Area, call or email to let us know about you and your wedding plans.